Please enjoy an audio experience in a slime girl's relaxation salon for 4 hours 45 minutes! Ear massage, ear cleaning and other bonus scenes are contained! * Unlike the Youtube version. 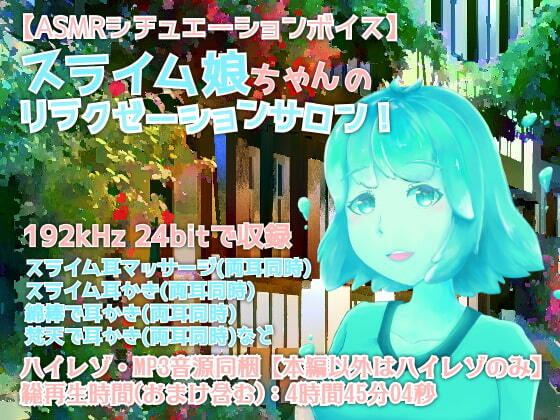 this product is presented with Hi-Res audio quality in 192 kHz/24 bit. Scheduled release Jan. 26, * Release schedule subject to change.